Hate Crimes: Protecting Minorities or Punishing Thoughts? There are lawyers throughout the five boroughs who will stand by your side and plead you guilty. We are dedicated to doing much more. 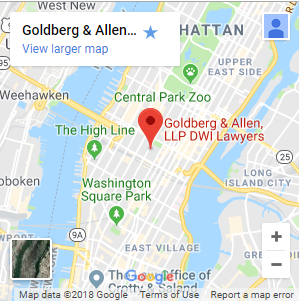 At Goldberg & Allen, LLP, you will meet directly with a former Kings County First Deputy Bureau Chief — an attorney who knows the system, the courts, and what you are up against extremely well. If you need criminal defense — whether for a misdemeanor, felony, a driving crime or other charges — it is worth talking to a lawyer who will investigate all legal options and defense strategies. We also have a proven track record in police brutality and false arrest cases. Since 1996, we have made honest, focused counsel and maximum effort for clients our constant priorities. For a free initial consultation, please call 212-766-3366 now or submit the email form below.